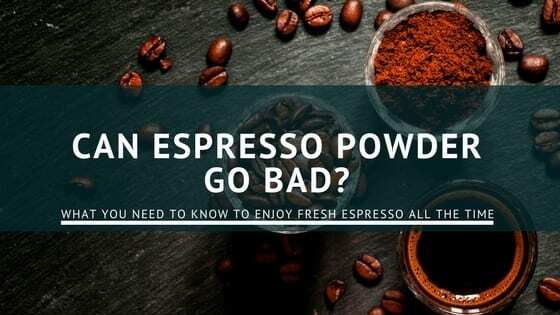 » Can Espresso Powder Go Bad? 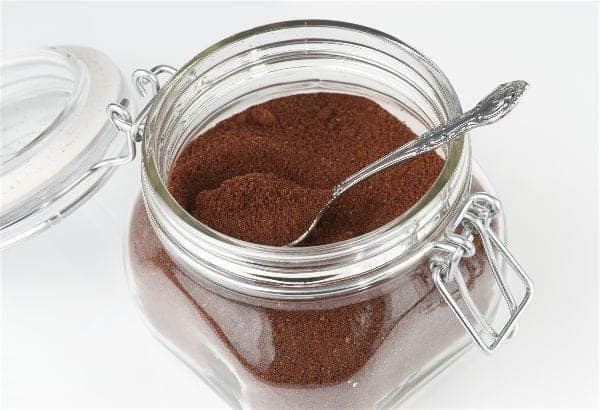 Can Espresso Powder Go Bad? Why Does Coffee Go Bad? How Long Does it Take to Go Bad? How Long will Beans and Powder Keep? How Long Will Your Capsules Keep? Is Expired Coffee Bad for Your Health? How many times have we heard that question when we pick from the cupboard the coffee jar to brew an espresso and the smell is just not right? Does that sound familiar to you? Well, the straight answer is yes. Coffee is very sensitive to their environment and coffee powder is even more than coffee beans or capsules. Coffee contains carbohydrates, lipids, organic compounds and other substances that react with the conditions of the environment and this is why your coffee will go stale. This is the reason why not to purchase your espresso powder in bulk. I’m sorry to inform you but those just bought grounds may taste very differently today compared to a few days or weeks from now. This is why you get coffee in such unique, sealed packages. Manufacturers do their best to help you prevent them from going stale. Below you’ll see many of the factors that play a role and how you manage those aspects determine how long your beans and powder will last. There’s no definite answer to how many days do coffee powder last. But it’s inevitable that eventually you may have to throw it away. Let’s help you understand the concept so you can upgrade your coffee storage system. Firstly it helps if you understand why your coffee will go stale. It’s a bit of science but bear with us because this will help you enjoy your coffee more. Coffee contains many particles that will react to their environment. So can espresso powder go bad? The good news is that you can prevent some of these reactions from taking place quickly. But the reality is that sooner or later you’ll have to get some fresh beans or grounds. Of course you’d like to plan for your future cups of coffee. So how often should you replace your old espresso grounds? Once again your answer is complex. One of the major role players is the type of your coffee you’re storing. Your espresso powder will unfortunately not last as long as beans or the capsules discussed below. 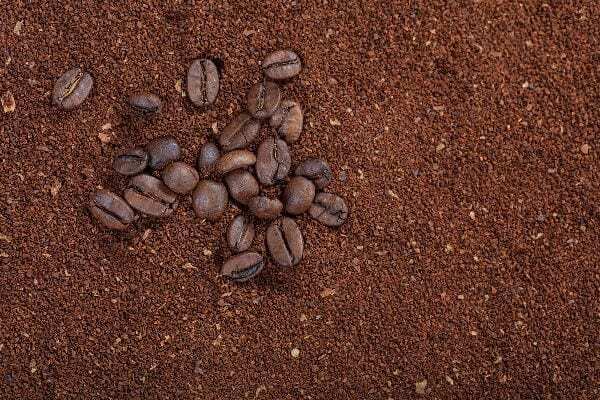 While year old coffee beans may keep their flavor up to a year, the moment you grind them up you’re creating more surfaces that can react to moisture, air and light. The grounds will now react much faster to the surrounding elements than the beans. That’s one more motivation to purchase that grinder you’ve been thinking of adding to your kitchen appliances and use fresh ground coffee as much as you can. So powder will go stale quicker than your beans or pods. A sealed bag will keep it flavorful for longer and manufacturers add nitrogen as a preservative. In this form you can keep beans up to a year from its roasting date (shown on most coffee packaging) even if you don’t put it in the freezer. Remember, the moment you open the bag for the first time the process of going stale will quicken. Storing it in air tight containers will limit the oxidation though. Are you using the right containers in your kitchen? There’s a reason why Nespresso pods and K-Cups are so popular. It’s also part of the reason it’s worth paying a little extra for these units. With capsules you’re lucky because the pod locks out all air and moisture, while locking in the flavor. 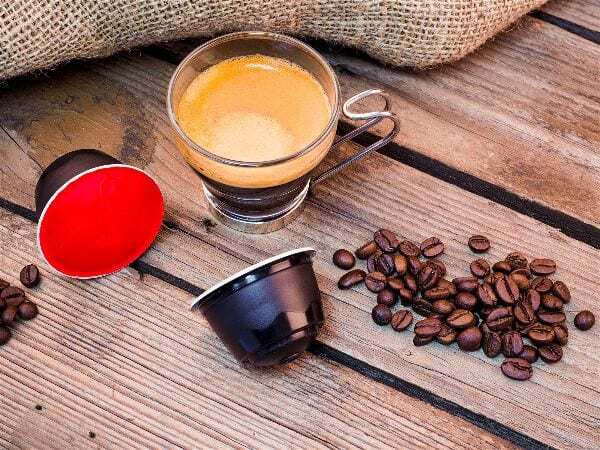 If you are the person who prefers to store teh coffee and not going to buy grounds frequently, then you should consider to move to a coffee capsule system like Nespresso or a single serve coffee maker compatible with K-Cup pods. The espresso inside can still give you optimum aroma up to eight months after the pod was manufactured. Note: Timelines differ for pods with tea and hot chocolate. Above we mentioned placing coffee—or beans—in the freezer. This will help keep it fresh, yes. How long does coffee last in the fridge? Your coffee may last up to four times longer in the fridge than on your counter or in your cupboard. However, note that you should only take out what you’re planning on using immediately. When it thaws an extraction process will start, so keep it inside until you’re ready to use or grind it. Since the timelines are arbitrary and influenced by so many factors, how do you know when it’s time to throw out those beans you love? Here’s where you need to develop your palate. It’s like tasting wine. Only be comparison do you identify the small nuances that tell you whether it’s a good or a bad bottle. Your taste buds do not lie. If your coffee is tasting less flavorful than usual, it’s possible it’s past its expiration date. Even before you make your cup, give the beans or grounds a sniff. If you don’t pick up on any of your favorite aromas, the coffee should probably be replaced. If you’re using pods a gentle push on the silver covering is all you need. If the air pressure inside is still high enough that it resists your push, you’ll still enjoy amazing coffee. If you’re storing rancid coffee, bad smells or tastes will eventually become more prominent than the flavors you love so much. An important fact: Does expired coffee lose caffeine? Despite oxidation coffee may not lose its caffeine levels, even when it’s going stale. Therefore you’ll still get your energising drink, even if it’s not tasting so well anymore. But we’re all different, right? Your senses may still pick up some aromas while your partner no longer enjoys the brews you make. Therefore the coffee may start going off, but you still find value in it for the time being. But is it dangerous to keep on drinking stale—or partly stale—coffee? And, can expired coffee make you sick? Let’s start off by saying drinking coffee is not a life or death situation. Furthermore coffee as old as 50 years has been brewed and enjoyed without many after effects. 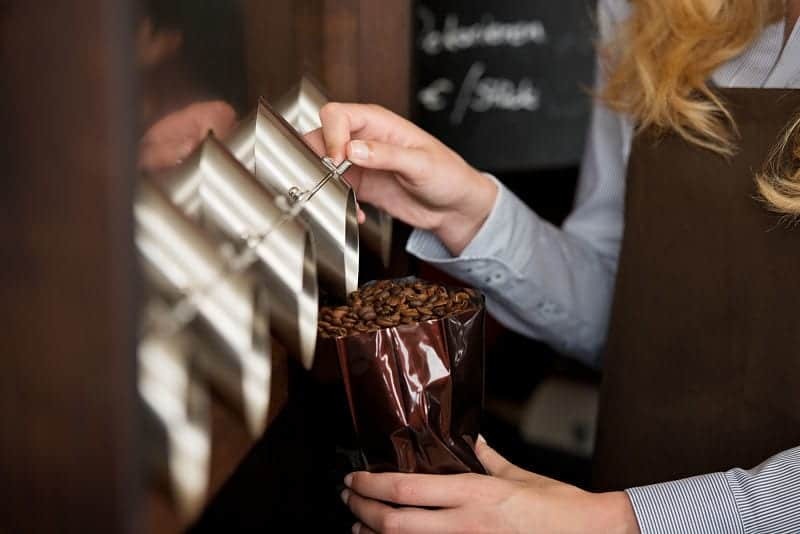 However there is a reason most stores remove coffee from their shelves when it reaches certain expiry dates (usually two months after roasting). There is a chance you may experience head aches. This isn’t a huge side effect, but isn’t it wiser to simply get yourself some new, fresh beans? Note that the above pertains to coffee that has been stored properly. Therefore no moisture entered the container. If this does happen your coffee can develop mould or mildew. In such a case, please dispose of your old coffee beans and grounds. Mildew can result in minor effects such as throat irritations but even cause allergic reactions and disorders in extreme cases. Don’t take that chance simply to get your next coffee fix. Rather make sure you regularly stock up on beans and grounds. If you love your coffee enough you’ll put effort into learning new habits. So how would you rate your coffee storage options at the moment? If you love your morning—and evening—brew you should ensure you always have access to quality coffee. And now you know how to make it happen. This is not only a taste issue. There’s no reason you should waste money on beans, pods and ground that you’ll never be able to use. A quick audit regarding your usage rates will help you plan more dynamically in future. Make sure you and each person that visits your home gets the best cup of coffee. You know coffee can be the best part of your day. Don’t ruin any moments in future.